Boats & Yachts Warranty, the leading provider of marine extended warranty plans, is delighted to announce that over 100 companies have joined its Partner Programme since the launch of the programme in late 2014. The Partner Programme, which is free to join, allows companies to offer extended warranty plans to their customers while providing them with an additional revenue stream. Exclusive to Approved Partners are three and six-month warranty plans, in addition to the standard 12, 24 and 36-month plans allowing Boat Dealers the capability to protect their liability when selling stock boats, by including a trusted 3rd party warranty. Yacht Brokers can offer their vendors the option to include an extended warranty with the sale of their craft, while also providing the option to the purchaser to upgrade the warranty. Not only does this increase confidence and customer satisfaction but it also increases their margin too. Joining the programme gives access to the exclusive Partner Portal, which provides essential tools to offer instant customer quotes and the purchase of warranty plans. Other resources include a selection of web banners, warranty quote widgets and email templates. The online reporting system allows Partners to view real-time information including statistics on clickthroughs, the number of active quotations, Warranty Plans sold and commissions earned. Once a Warranty Plan has been purchased, Boats & Yachts Warranty deals directly with any warranty issues. Partners are also allocated a dedicated Business Development Manager to help maximise their earnings. 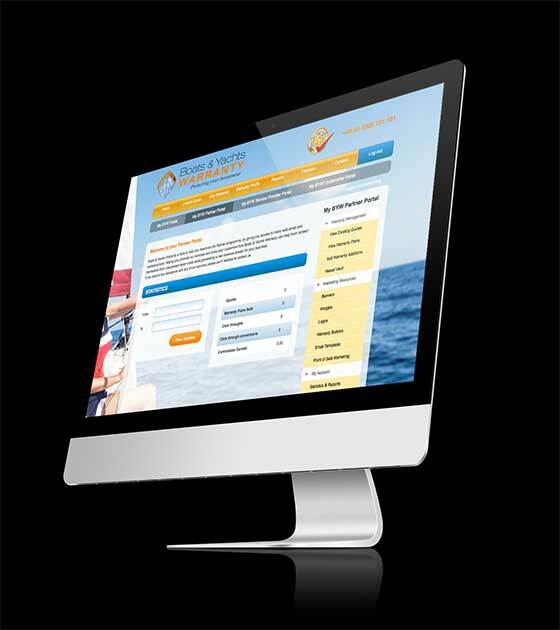 Boats & Yachts Warranty has invested in a new dedicated mobile website, which makes it even easier for Partners to get quotes and manage their customers warranties. The Partner Portal is also Smartphone, Tablet and PC ready. Boats & Yachts Warranty offer Extended Warranty Plans to protect boat owners from costly repairs on both new and pre-owned vessels. The company's Warranty Plans pay repair costs, or the replacement costs of any covered components that break down during the warranty period, anywhere throughout Europe. All Warranty Plans include up to £750 to cover the actual cost of Hoist/Haul-Out and storage to facilitate repairs as standard. Boats & Yachts Warranty Extended Warranty Plans for pre-owned boats add a layer of protection to customers' purchases giving them confidence when buying from an Approved Partner. Companies interested in finding out more about what the Boats & Yachts Warranty Partner Programme or wishing to join should visit www.boatsandyachtswarranty.com/partners or call +44 (0) 3300 101 101 and select option 4.